Designed to provide comfort, style and durability for contract use and any occasion. 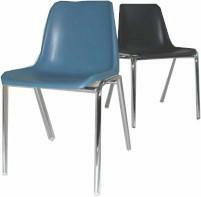 A cost effective stacking chair that has been designed to provide comfort, style and durability for contract use. The one piece seat and back is manufactured from injection moulded polypropylene plastic which provides strength and flexibility. The legs are manufactured with heavy gauge tubular steel and are finished in silver as standard to provide a smart and long lasting appearance. 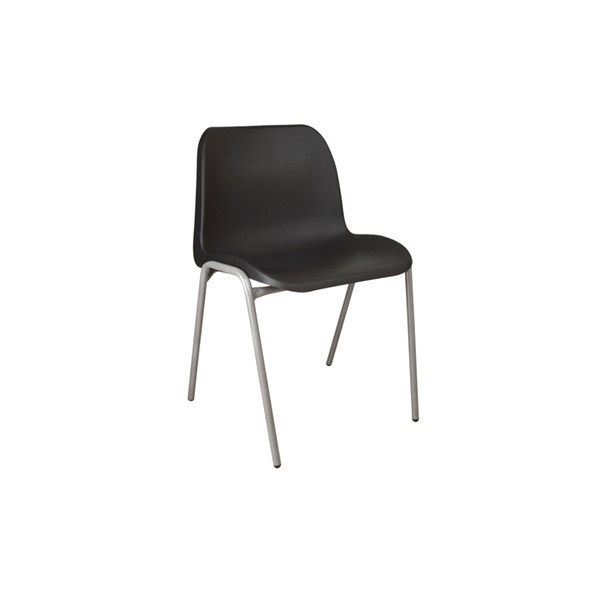 The classic design enables the chair to be stacked and stored with ease when being transported or not in use. Available ex-stock exclusively from Muswell in black as standard. Other colours available on request.